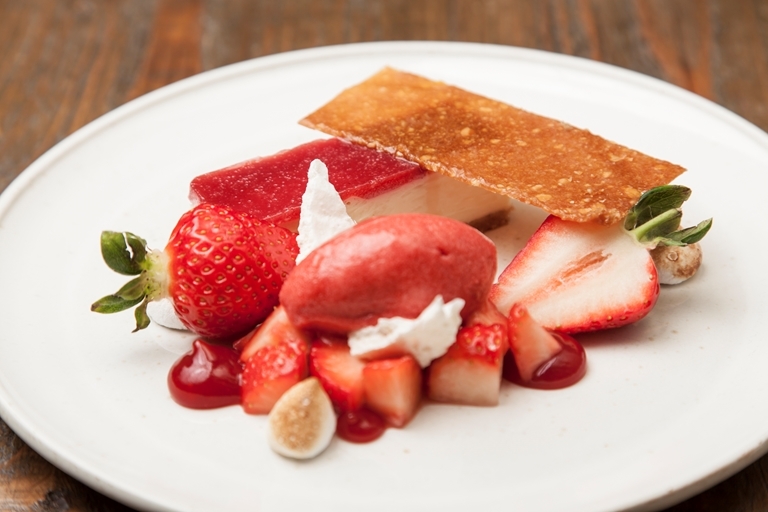 Matt Weedon's summery dessert is a veritable ode to the strawberry. A white chocolate and strawberry cheesecake is accompanied by strawberry salad, strawberry sorbet and strawberry gel to add a cheffy touch to the dish, and is garnished with crumbled meringue. For an extra crunch, add a nut tuille of your choice to finish the dish. Soft-spoken and faultlessly modest, chef Matt Weedon prefers to let his accomplishments in the kitchen speak for themselves.